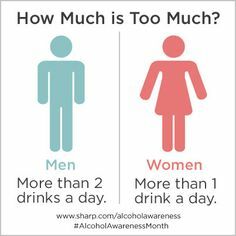 April is Alcohol Awareness Month, a time to increase awareness and understanding of alcoholism, its causes, effective treatment and recovery. An estimated 6.8 percent of adults engaged in heavy drinking in the past month. About 16.6 million adults in the U.S. have an alcohol use disorder, including 1.3 million who received treatment in a specialized facility. An estimated 700,000 children and adolescents (12 – 17) also have this condition. An estimated 88,000 American die annually from alcohol-related deaths, the third leading preventable cause of death in the U.S.
Alcohol may act differently in older people than in those who are younger. Some older people can feel “high” without increasing the amount of alcohol they drink. This “high” can make them more susceptible to accidents, including falls and car crashes. Worsen some health conditions like osteoporosis, diabetes, high blood pressure, and ulcers. Make some medical problems hard for doctors to identify and treat. For example, alcohol causes changes in the heart and blood vessels. These changes can dull pain that might be a warning sign of a heart attack. Cause some older people to be forgetful and confused, making it appear as dementia. If you take aspirin and drink your risk of stomach or intestinal bleeding is increased.